First ever live gameplay to debut. Sega will host a Hokuto ga Gotoku official broadcast on January 12 from 21:00 to 22:30 where it will debut new information and the first ever live gameplay of the Yakuza Studio-developed Fist of the North Star title. You will be able to watch it live on YouTube, Niconico, and Periscope. The broadcast will feature Hokuto ga Gotoku general director Toshihiro Nagoshi, general producer Daisuke Sato, and actress Ayana Tsubaki. 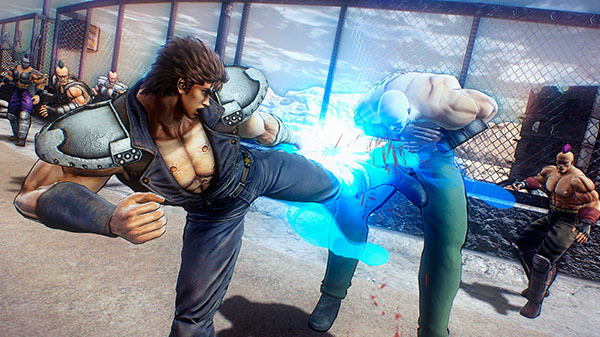 Hokuto ga Gotoku is due out for PlayStation 4 on March 8 in Japan in standard and “Century’s End Premium” editions.